Are you desperately in need of a new loan? 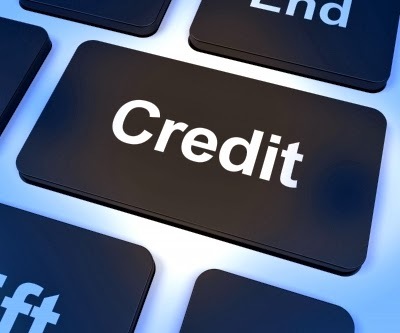 Do you believe that your credit rating will be a problem? If so, do not panic, there are a number of options out there for you, all of which tick the full range of financial boxes. With so many options currently available and opinions on some of these no credit check loans varying wildly, it can still be a confusing time for borrowers. Finding the best and most affordable option for you is crucial and below we have identified 3 of the most popular to give you a little insight into the facts that you need to know. Although the concept of the guarantor loan has been around for a very long time, it is only recently that their popularity has begun to increase. Guarantor loan lenders are prepared to look past the credit rating of the loan applicant but only on the proviso that the applicant identifies a third party (the guarantor) who will co-sign the loan agreement, guaranteeing that they will pick up the repayments should the applicant fall behind. There are obviously some criteria which the potential guarantor must satisfy in order to be eligible for the role, age, residency, income etc but if they tick all of the boxes, there is every chance the loan application will be granted. Popular choices for guarantors include family members and close friends, but whoever is asked, must understand the agreement into which they are entering. Because guarantor loans are unsecured personal loans, they can be used for whatever (legal) purpose the borrowers deems fit. Often used as a method of debt consolidation, they can just as easily be used to buy a new car or pay for a holiday. Payday loans have had a rough ride in the press recently, and if used irresponsibly, the bad press is not without reason. A payday loan is a short-term advance designed to tide you over financially until payday, with a strong emphasis being placed on the phrase ‘short term’. If used as intended, they can be the perfect short term fix for anyone who cannot turn to a high street lender. It is only when they begin to be used over longer terms that they begin to be very expensive and potentially dangerous. Payday loans are typically paid directly into your bank account and nearly always within 1 day of your application being approved. The payday loan repayment, plus interest, will then be deducted directly from your account on the due date. It is always worth remembering that a typical charge for a payday loan will be approximately £25 per month for every £100 borrowed. Advertised interest rates (APRs) are generally around 1,750%. Logbook loans are a different type of no credit check loan because the lender will insist on a form of security. Falling between guarantor loans and payday loans in regards to the level of APR which is charged, lenders are prepared to look beyond the credit rating of the borrower if they are prepared to offer the logbook of their vehicle as security against the balance of the loan. If the loan is repaid in full and on time, the logbook will be returned at the end of the loan period. If however this is not the case, the lender will be quite within their rights to sell the vehicle to recoup their losses. It is even possible that if the losses do not cover the outstanding balance, the borrower will still be liable to make any further outstanding payments. As with all financial matters, it is crucial that you do the appropriate homework to ensure that you enter into the agreement with an open mind and your eyes open. This will help you to make the best decision for your individual circumstances.